Lieut. 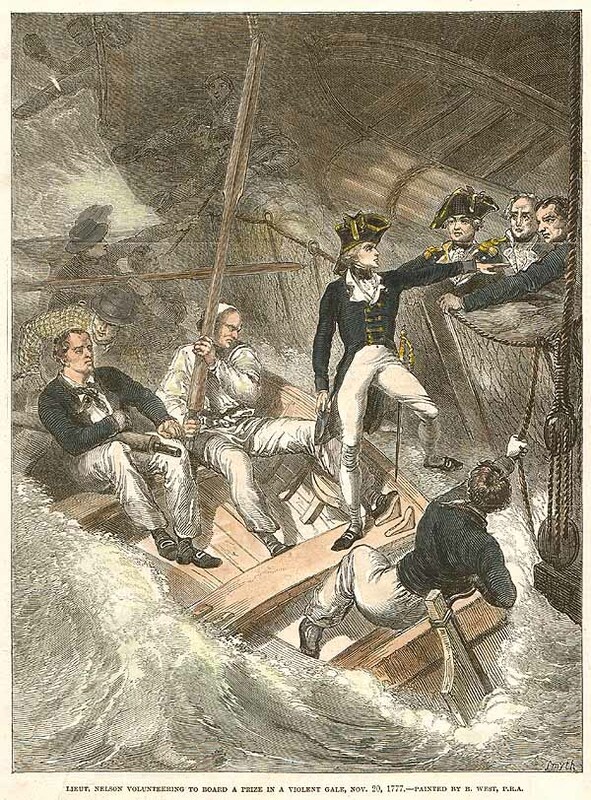 Nelson volunteering to board a prize in a violent gale, Nov. 20, 1777. An antique woodcut engraving by Smyth from a painting by B. West. P.R.A. Published in "The Illustrated London News" on November 10th, 1845 with later hand colouring.